Welcome to the The Bacabs' Crystals event For the duration of this event, you will have the chance to recruit amazon warriors and nahuals, as well as invoke and harness the power of the Kantepec and Oracle feasts. You can't spy the crystals a barbarian village has in advance. It's only once you see your bounty in the battle report when you'll find out what crystals did the barbarian have. Each barbarian village has crystals only once; that is to say, if you or another player takes them you won't find more crystals in the same village again. 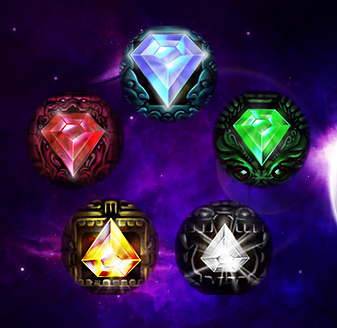 Your crystal inventory is shared across all your cities, in other words, all your crystals will be available from any city. As with amber stones, you can't exchange or move your crystals, and nor can other players plunder them. The details of troops on the move that include an amount of Nahuals in their ranks will only be visible in activity reports if the amount of Nahuals sent to spy is greater than the Nahuals in the moving troop. Otherwise only the origin and destination will be shown, but no information regarding timing, or the number of units or resources. Example: suppose that you have two troops on the move outgoing from your main city, troop A and troop B. Troop A has 2 lancers and 2 bowmen, troop B has 3 Jaguars and 2 Nahuals. If an opponent sends one nahual to your main city to spy your activity, on the report back troop A will be fully visible, but troop B will be hidden. In this scenario, only if the opponent sent 3 nahuals would he see the details of the troop B. Once a nahual fulfills his mission, he will not return back to your troops. 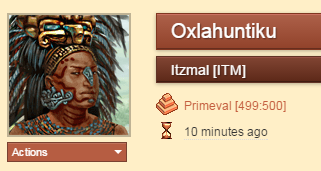 This means that nahuals are one-use only, and for every new report a new nahual has to be recruited. Spying troop activity does not happen silently, the opponent will see nahuals approaching his city and he will get a notification about nahuals having been sighted in his city. 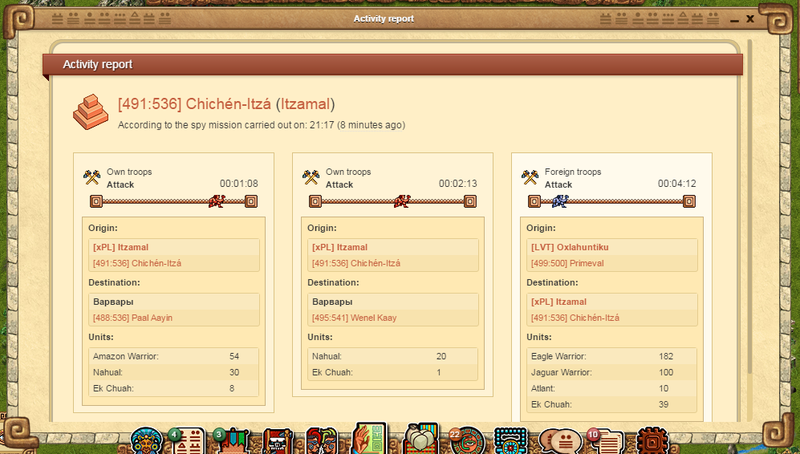 All resources and units within each troop mission are visible in activity reports, regardless the watchtower level. Only troop activity specific to the spied city will be reported in the activity report, not the entire troop activity of the opponent. For example, if the opponent has a troop outgoing from city A, and two troops incoming to city B, if you were to send a nahual to city B for a report, only the two troops incoming to B will be visible in the activity report, not the one outgoing from A. As with amazon warriors, this unit switches sides if you lose a battle with nahuals in your ranks as a defender. Please note that in order to take advantage of the effect, only the start time of the order matters. That is to say, it's not relevant if the travel time is longer than the entire feast effects, as long as you send the troop while the feast is active. A veteran and well known unit in Tentlan, Amazon Warriors will be recruitable during the event via crystals, which will make them more easily attainable. This unit serves a strategic role during battle turns, as it can take down supporting units such as shamans or quipucamayocs, otherwise protected from damage by other units, often changing substantially the outcome of a battle. You may find more information about the role of this unit in our battle system guide.